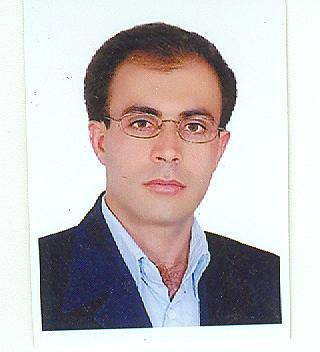 Garshasb Rigi is an Assistant professor of Molecular Genetics for Department of Biology in Behbahan Khatam Alanbia University of Technology.Rigi did his PhD in Molecular Genetics,from National Institute for Genetic Engineering and Biotechnology.Rigi has good skills in Bioinformatics softwares.He received many awards and has good number of Publications.Rigi has memberships in Genetics Society of Iran,Biotechnology Society of Iran,Bioinformatics society of Iran,The head of the scientific – researching committee of agronomy & plant breeding group in agriculture faculty of Isfahan University of technology,Scientific Committee of Biology at National Institute of Genetic Engineering and Biotechnology,Central Committee of Nanotechnology at Behbahan Khatam Alanbia University of Technology,The Eastern Mediterranean Health Genomics and Biotechnology Network (EMGEN). 4)Farideh Zakeri, Majid Sadeghizadeh, Mohammad Reza Kardan, Hossein Shahbani Zahiri, Gholamreza Ahmadian, Fatemeh Masoumi, Hakimeh Sharafi, Garshasb Rigi, Hojatollah Vali, Kambiz Akbari Noghabi: Differential proteome analysis of a selected bacterial strain isolated from a high background radiation area in response to radium stress.. Journal of proteomics 05/2012; 75(15):4820-32. 4)Aug 2010Award: Being respected and gloried in the festival of science and technology endeavours, organization of scientific endeavourer.